Your Ultrasound Tech Needs a Day Off? Soundwaves Has You Covered! We know how it is, your ultrasound tech just let you know she needs time off and your ultrasound schedule is overflowing with patients. Not to worry, Soundwaves has you covered! Soundwaves can provide you with experienced, knowledgeable and professional sonographers when your ultrasound tech takes time off. The Soundwaves sonography team is made up of ARDMS certified sonographers who are experts in their field. They are experienced and knowledgeable in the art of properly describing pathology and specifically answering the question at hand. These sonographers are hand picked by the Soundwaves founder Denise, who is an experienced sonographer with 25 years in the field. Denise has experienced first hand, ultrasound reports that are inaccurate and of poor quality. Denise created Soundwaves with the intention of eliminating poor quality in ultrasound reports and therefore, each one of our team members goes through a rigorous training process. We hope that we have opened your eyes to the future of staffing solutions. Good help is hard to find, but it’s all about where you look for it. Give us a call today and get to know our experienced and professional team first-hand. Soundwaves can also offer sonographers on a part-time and full-time basis if needed. We can even provide you with a sonographer and a machine if you don’t have one, or just want more help on busy days. At Soundwaves our slogan is ‘Image is Everything’ and that’s because we understand your practice is your reputation. 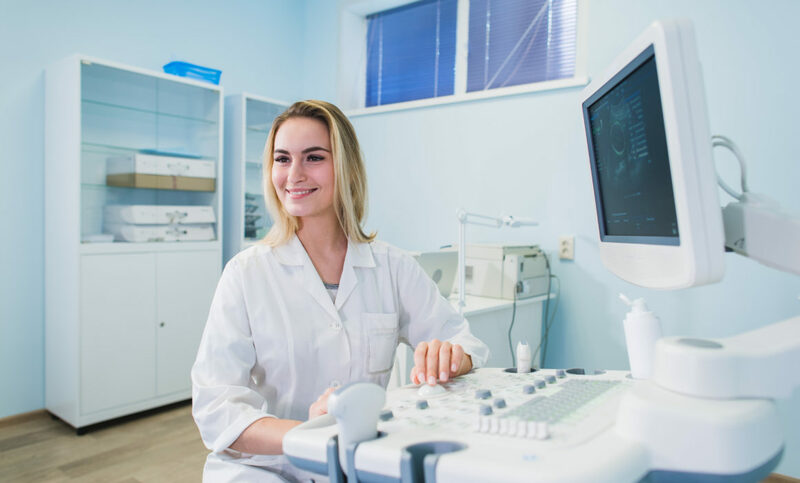 We know how important it is for your team to provide a knowledgeable and professional sonographer to every single patient that walks into your facility, so let us help you be the very best, one sonographer at a time. Visit our website for more information.